The first self-composed song from Jimin of boy band BTS, “Promise” was streamed over 13 million times in its first two days and 20 hours since release, the quickest pace among any solo efforts from the bandmates. When the song was released Monday via global music platform SoundCloud, the site was momentarily paralyzed with users rushing to stream the track. “Promise” not only topped the New Hot chart and Top 50 chart of SoundCloud, but regional music charts including for the US, UK, Canada, France, Germany, New Zealand, Australia, Netherlands and Ireland. Including Twitter, Billboard and Hollywood Life, some 60 official accounts of global media and celebrities congratulated the 25-year-old for the release of his solo effort. In particular the mention of the song by internationally syndicated radio show “American Top 40” surprised many, as even American singers struggle to catch the eye of the broadcast. “I wish to drop another song written about my thoughts and to have more opportunities to meet with (the BTS fan club members of) Army to show fans some great performances in 2019,” said Jimin on his New Year’s resolutions. 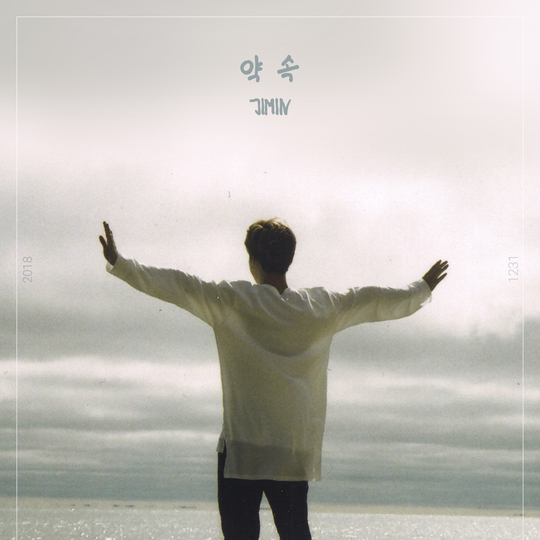 In the his first self-written song since debuting with BTS, Jimin blends acoustic guitar sounds with strong, sentimental vocals.